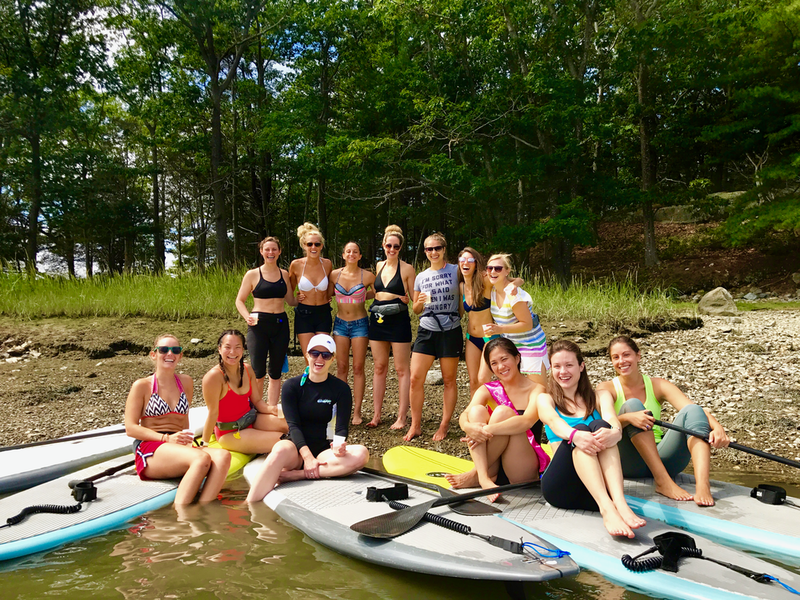 We are happy to customize our paddle boarding services for private events, corporate team building & wellness, or assist with bachelorette party ideas in the Portsmouth, NH area. All of our paddle board tours and experiences can be tailored to your group's size, needs, and interests. Food & Beverage Packages Available. Paddle boarding is a great option for a company's department outing or corporate team building experience. Reward your department with a fun corporate team building activity that will improve and strengthen relationships, boost communication and encourage health and wellbeing. Let our team custom tailor an outing for your group of any size. Our team will customize a paddle boarding experience based on your wedding party ideas and needs during your stay in Portsmouth, NH. We are happy to assist further in off water bachelor or bachelorette party planning including night life recommendations, accommodation and dinner reservations. We can accommodate groups of any size. Portsmouth Paddle Co specializes in creating private events for groups of all sizes and ages in the Portsmouth, NH area. Whether the occasion is a family reunion, birthday party, or part of a "mom's night out", we are happy to assist in building your group event to your needs. We also deliver services to private homes with water access.